What is the purpose of higher education? How do teaching and research relate?Are the intellectual purposes of higher education in need of restoration?The Enquiring University explores the ways in which teaching, research and learning are related to each other and to a wider social context, one in which ideas about the nature of the university and knowledge are changing. 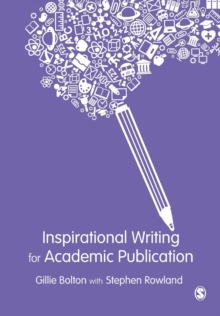 The book is readily accessible, drawing upon insights that emerge from a wide range of disciplines. 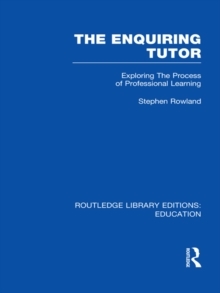 Throughout the book, Stephen Rowland develops a conception of enquiry which can play a central role in how we are to understand academic work. It is a concept which values the academic tradition of a love for the subject, while at the same time encouraging exploration across disciplinary and other cultural boundaries. 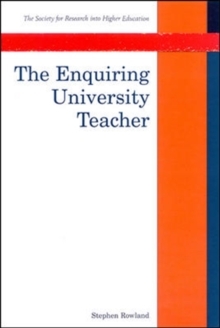 While such a notion of enquiry may seem to be under threat from many of the recent developments in higher education, this book indicates ways in which the appropriate spaces can be opened up to enhance a spirit of enquiry amongst academic staff and their students.The Enquiring University is key reading for university lecturers, those studying for higher degrees in higher education and policy makers.